Kindergarten teachers in state schools devote more time to the Maltese language than their counterparts in non-state schools, a study has revealed. 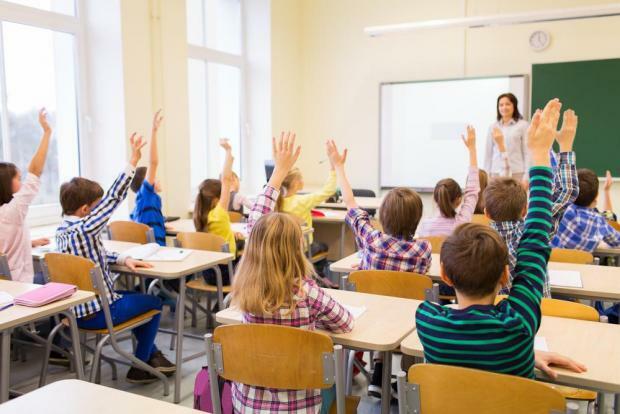 Published on Tuesday afternoon, a study by the National Literacy Agency found that while teachers in state schools devoted just over 64% of the time to Maltese, the figure went down to 35.9% for English. Meanwhile, in Church schools, the figure for English soared to 60.8% while going down to just over 39% for Maltese. On independent schools, the teachers who participated in the study were found to use English “exclusively”. “Maltese was introduced as a foreign language and 15-minute sessions were held three times a week by the teacher of Maltese. Gifted children follow a third-language programme,” the researchers noted. Teachers in central state schools and south-eastern state schools, the researchers noted, aimed to promote both Maltese and English and they dedicated roughly an equal amount to both languages. On the alphabet, this was presented in English in Church and independent schools while students in state kindergartens were taught the Maltese version. Certain topics, namely those involving mathematics and numbers, were taught in English in all schools. Despite this, the majority of educators were found to switch from one language to the other depending on their students’ needs, especially when these included foreign children. On the reasons behind teachers’ choice of language, the researchers found that the influx of foreign students did have an impact on this decision, with many educators saying that they need to use English or to code-switch to the language because of the presence of non-Maltese students. According to one of the researchers, Lara Ann Vella, 70% of teachers believe such switching – referred to among educators as language mediation – occurs mainly because the students are very young and they have special emotional needs so this is crucial. Speaking at the unveiling of the study’s results, Education Minister Evarist Bartolo insisted that ensuring students were bilingual was crucial. He added that the country needed to develop an Official Languages Act, noting that other countries had such an act to outline how two languages are used together. He also called for the increase of Maltese’s digital presence, adding that if this is not stepped up, the language faced “digital extinction”.